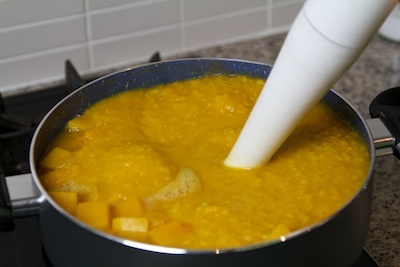 Creamy Butternut Pumpkin Soup – dairy Free! 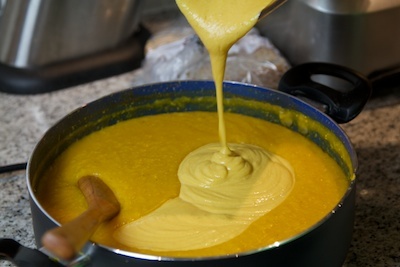 Home/Creamy Butternut Pumpkin Soup – dairy Free! Awesome on a cold winters evening. Creamy, filling and of course – vegan! 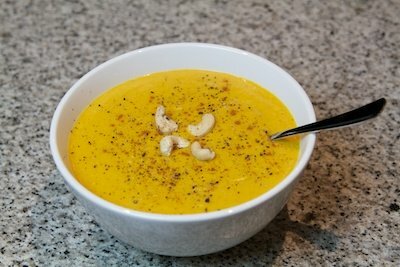 Creamy Butternut Pumpkin Soup - dairy Free! 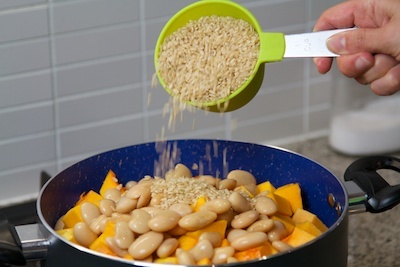 Add pumpkin, white beans and brown rice to a large soup pot. Add spices to the pot. Pour boiling water into the pot and turn on heat to high. Bring to a boil, stir through to mix and turn down to a simmer. 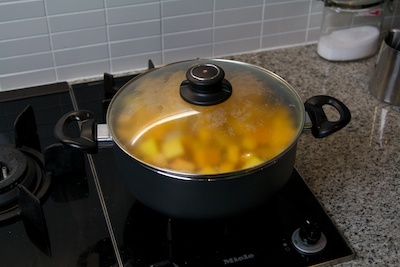 Put lid on pot and let simmer for 30 minutes. 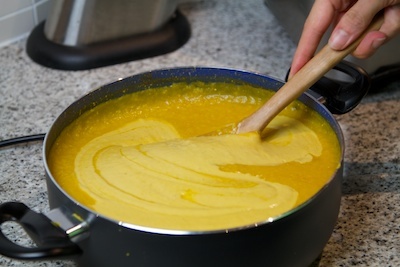 Turn heat off and blend soup with a hand blender. 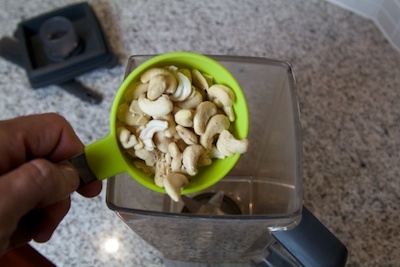 Alternatively you can also put the soup into a blender or food processor and blend till smooth. 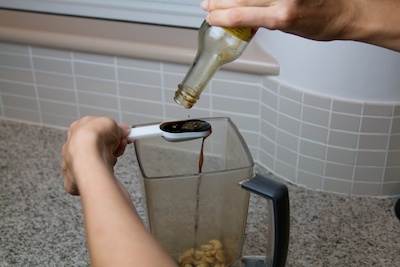 Put one cup of cashews into a blender. 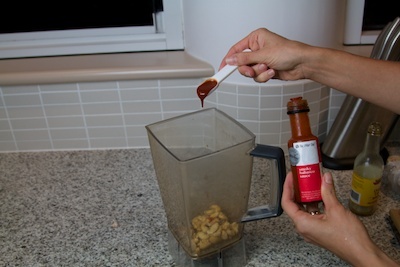 Add hot sauce to blender. 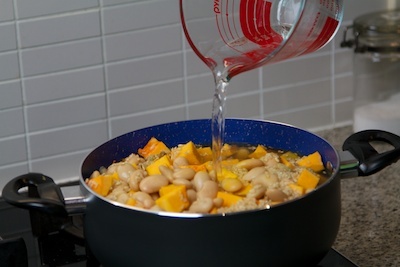 Pour cashew cream into the soup pot. 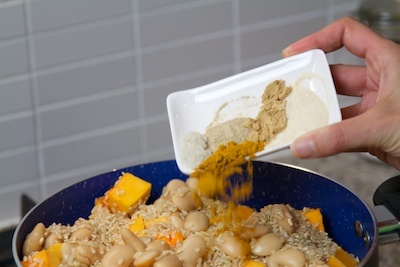 Serve into bowls and top with freshly cracked pepper and a sprinkle of nutmeg. YUM! Butternut squash soup looks devine! It looks like a lot of calories.? How did you lose 50 pounds on vegan? I am considering going vegan for my health. I was diagnosed with kidney disease and saw some improvement when I tried vegan for three months. I went off and feel bad again. I love that your recipes are simple. That’s why I went off vegan. Too much prep and not enough time. I plan to make several of your recipes. What did you eat to lose 50 pounds? I have 100 to lose. I was put on 1200 calories and all I do is think about food! Thanks for sharing all these wonderful recipes!